Over 50 percent of American workers claim they are not happy at their current job. As a business owner, your main concern should be finding ways to boost morale and productivity. One of the best ways to accomplish both of these goals is by providing your team with the right tools. Equipping your workspace with the best office supplies can help you and your team greatly. If your team feels like they don’t have the tools to get their job done properly, they will begin to be less efficient. Working with a reputable office supply company can help you get the best deal on the items you need. Before choosing a supplier, take some time to find out more about the items they carry and how much they cost. Are you having trouble figuring out what office supplies to invest in? If so, check out the list of essential office supplies every business needs below. Some business owners get so fixated on getting the best technology in place in their office they forget about the basics. 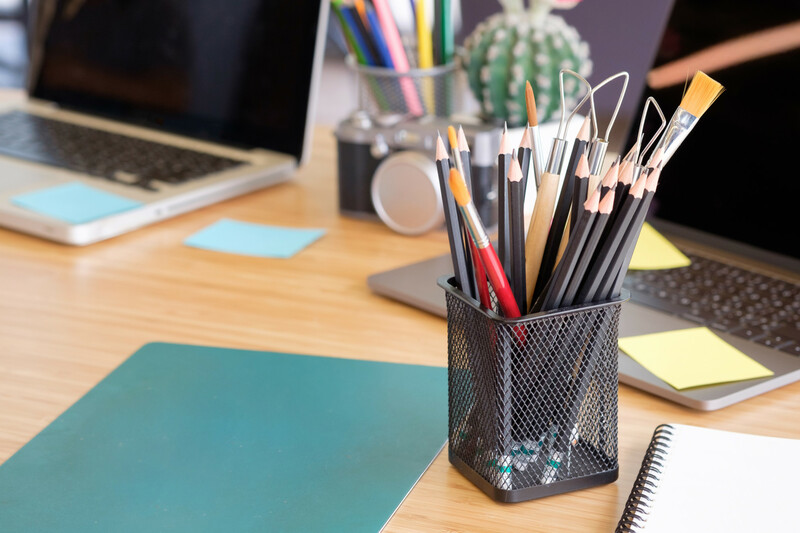 If your team does not have basic desk supplies like pens, tape, staplers, and highlighters, it will be extremely hard for them to stay productive. Often times, these simple items are taken for granted until employees start to run out of them. The last thing you want is a “Lord of the Flies” atmosphere in your office when it comes to supplies. This is why you need to stay well stocked in the items mentioned above. Working with a reputable office solutions provider can help you avoid the headaches that come with not having the tools your team needs. Before working with a particular supplier, you need to find out how they will keep track of your inventory. Ideally, you want to hire a company that can take the stress and worry out of having to order office supplies. Using the power of technology is something a modern business has to do to stay competitive. Failing to have things like computers, tablets, and mobile phones can put your business at a great disadvantage. Some businesses think that letting their team members bring in their own devices to work with them is a good idea, but they soon realize this is a misconception. When allowing your team to use their own unsecured devices to access sensitive information, you are asking for a cyber-attack to occur. Instead of dealing with the damage these attacks can cause, work on providing your team with the technology they need. Many cell phone providers offer commercial plans for small businesses. With these plans, you can get the latest phones and the best service for a competitive price. With the right tech tools, you can stay connected with both employees and customers. Finding ways to make your business more efficient can be challenging. In some cases, business owners will get so used to doing things one way that they refuse to make changes. Not only can this lead to you losing your competitive edge, it can also put your business at risk of things like data hacks. Investing in state-of-the-art software and apps, you can keep your business running like a well-oiled machine. There are apps and software programs designed to make just about any task you perform on a daily basis easier. If you have a number of employees who work from home, having project management apps can come in handy. With these apps, you can assign tasks and track progress all from one easy to use dashboard. Consulting with IT professionals is the best way to get some advice on which software and apps to use for your business. Most businesses receive multiple calls and emails from customers on a daily basis. Making sure the needs of the customer are met should be your top priority. Encouraging your team to take notes during their interactions with consumers can help them avoid making mistakes. Providing your team with things like notebooks and stationary can make this note-taking process easier for everyone involved. Getting these items customized with your business name or logo can help to add a much-needed personal touch to these paper essentials. You should also focus on keeping paper on hand for the copiers and printers in your workspace. Running out of this paper will make printing important documents impossible. Often times, buying this paper in bulk is the best way to get a great deal. Having stacks of paper all over the desks in your workspace can create a lot of problems. If these items are not filed away properly, it can result in important information falling through the cracks. This is why investing in both storage cabinets and organizational supplies is a must. Supplying your team with storage cabinets allows them to organize all of the documents they are responsible for. Organizational supplies like binders and folders help to keep these documents in one accessible area. One of the best ways to reduce the need for this type of storage is by moving to a cloud-based file storage system. By using the cloud, you can reduce the amount of paper you use without compromising the security of your documents. Staying on budget is important, but you need to avoid cutting corners when it comes to your office supplies. The right office supplies can help you increase productivity, which makes them well worth the investment. Are you looking for more business-related advice? If so, check out our blog on how to handle the financial side of your business.